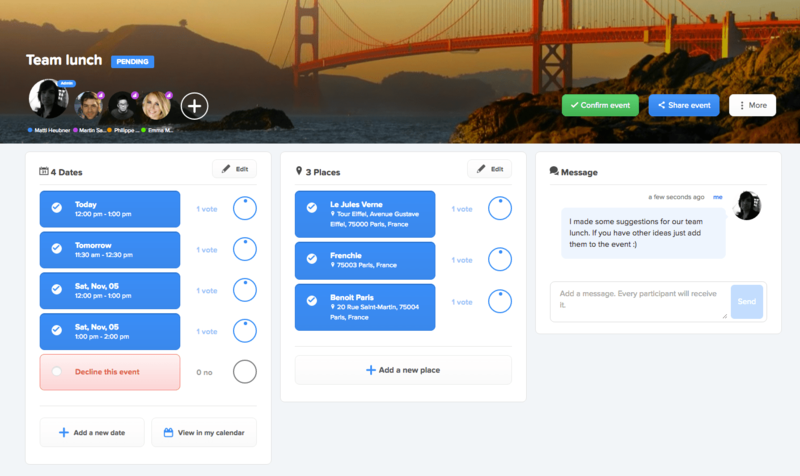 In the first part of the series “How to get started with Vyte” we talked about how you can create your personal Vyte page to let people book you at convenient times. This time our topic will be group meetings. 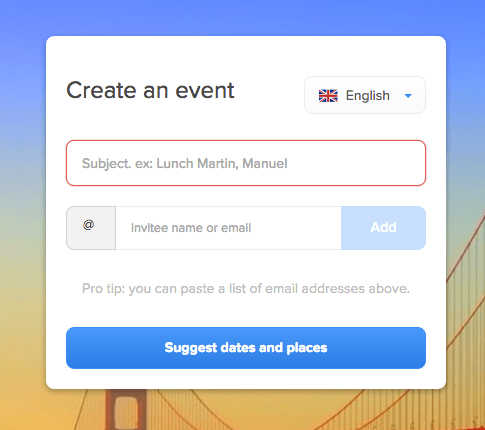 The difference here is that you are the event initiator yourself and don´t get booked from others like on your Vyte page. Finding a time for everyone can be quite stressful – luckily now you have Vyte and this works like a charm! 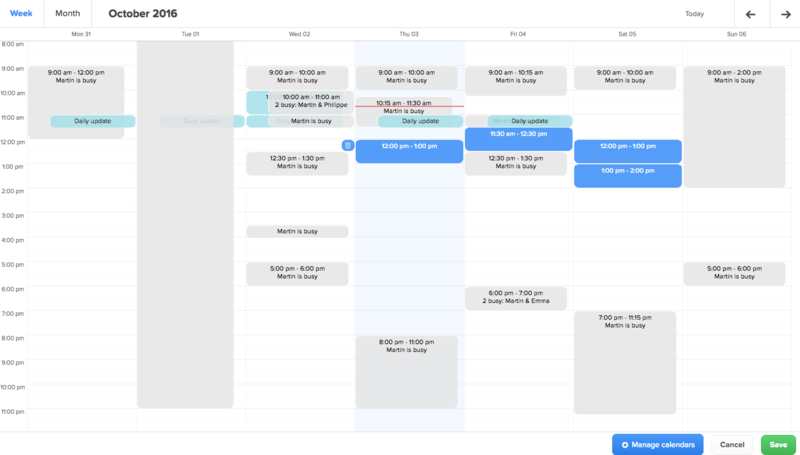 When you click on “Pick a date” a calendar view opens and you see all the times when your invitees and you are busy or free (works only for Vyte users). Obviously you should pick dates here when everyone is free. Also, the other invitees can suggest new dates after the event has been created. In this case, we want to have “Team lunch” – so everyone has sort of different taste. A good call here would be to suggest multiple restaurants. 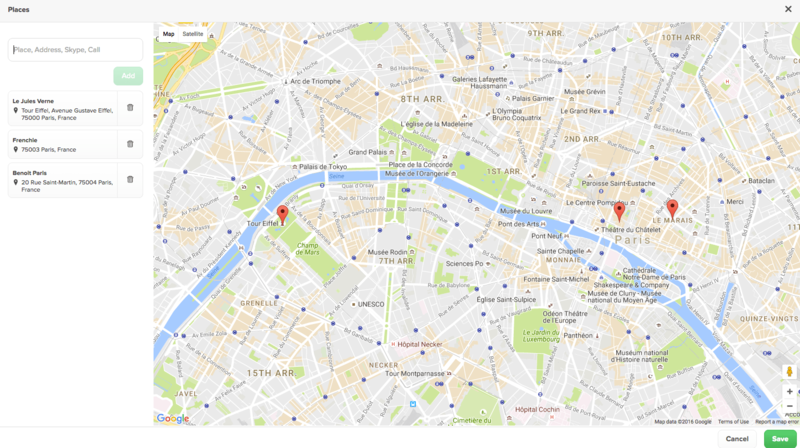 Just type in some of your favorite places and on our map view you can add them to your event. Of course, all invitees can also suggest some of their favorite places after the event has been created. 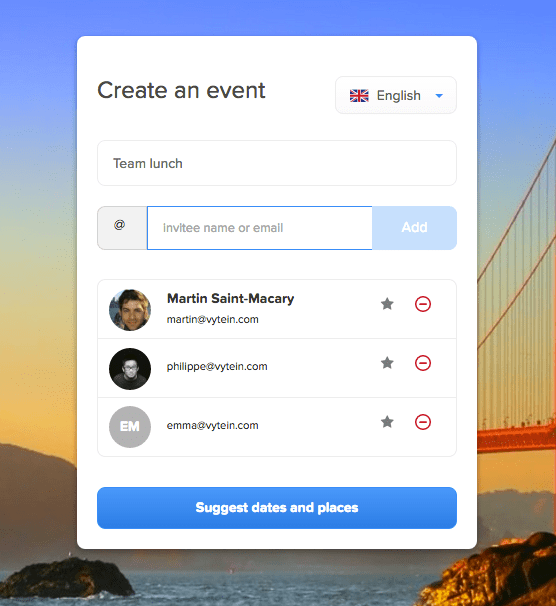 For other types of meetings like video calls, you can also add your Skype account (or other services like Hangouts) to the event. 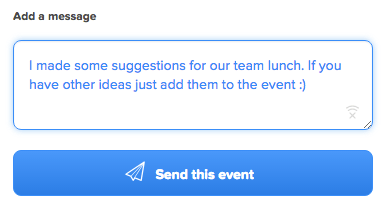 To give people any additional information you can add a message.